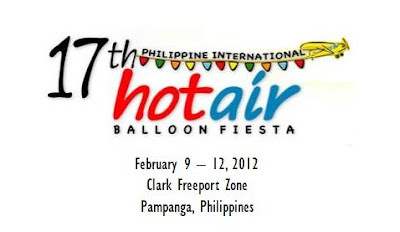 Getting to the location site of the 2012 Hot Air Balloon Festival in Clark Philippines from Manila is not fun at all. Especially if you will take public transportation. In previous Hot Air Balloon events, visitors experienced problems catching the connecting rides after the bus arrived in Dau in Angeles city, especially during Saturday and Sunday of the Hot Air Balloon Festival weekend. These problems are no comparison to the difficulties in getting a jeepney ride leaving the Clark Hot Air Balloon Fiesta site to get back to the bus terminal in Angeles City for the ride back to Manila. Many visitors were stranded for literally hours waiting to get out of Clark. Good news fellow Hot Air Balloon enthusiast! This year 2012, a special Hot Air Balloon bus service is available. Participants board the special bus in a designated pickup location in Manila and travel to Clark in comfort, resting up during the 90-minute journey arriving refreshed and ready to enjoy the festivities of the Hot Air Balloon Festival in Clark. Visitors arrive at the entrance of the 2012 Hot Air Balloon Fiesta site in Clark and board the shuttle service at the Clark Wine Center near to the site to return to Manila. Tickets to this special Hot Air Balloon Fiesta bus service must be purchased in advance. Round-trip ticket price is P 550 . Yes this is round-trip. No one-way ticket available. You have an option to buy the Hot Air Balloon Tickets @ P 230 from them to avoid long lines at the site. Only a small number of seats are available and once tickets are sold out, no more will be made available. Ticket holders will board the bus between 6:45 to 7am in Ortigas Metro Manila, opposite the Philippines Stock Exchange Center (Tektite) where there is plenty of public parking. The Hot Air Balloon Festival shuttle will depart promptly so please arrive on time. Those who miss the departure may still board the bus for the return trip from Clark back to Manila. 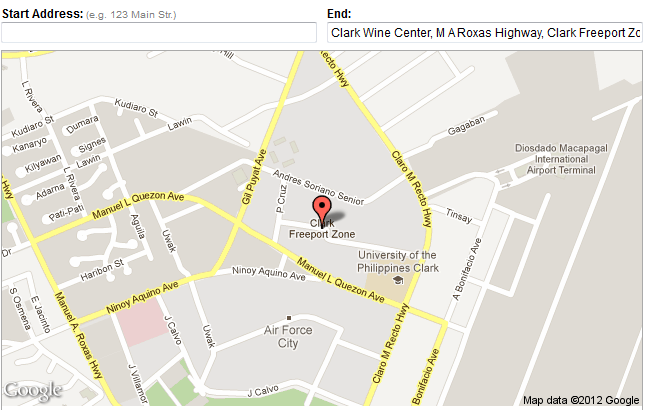 The bus will depart from Clark at 5:30 p.m. expecting to arrive in Manila at around 7 to 7:30 p.m. Note: Any last-minute schedule adjustments will be communicated to ticket holders via email and/or phone so please always check your emails and text messages. Don’t let problems and inconveniences put a damper on the thrills and excitement of the 2012 Hot Air Balloon Fiesta in Clark, Pampanga. Plan your trip and secure bookings and tickets well in advance and enjoy this famous annual festival in style and comfort. Note: I am not affiliated in any way with Yats International Leisure Philippine. This is not a paid post. I learned about their shuttle bus and ticket services and find it helpful to the general public, that is why I shared this information to you my readers. I did not receive anything from Yats or from its owners or employees. I even paid for my parking fee at the V.I.P. Parking and would be paying for my ticket at the gate too. Please direct to their website or call them directly if you have any complaints or dissatisfaction with Yats International Leisure Philippine. Thank you very much. Wow. Thanks for posting this. Very helpful for the commuters who will attend the event. I like this site to make the Baby Balloons ant its too difficulty thats way i like very much to make this type design. Sayang, I didn't know na may shuttle bus pala. :( Next time, I hope I can really go to the Hot Air Balloon Festival. Shout Out to Dennis, Mye and frances I met them yesterday when I paid for my parking slot @ Yats. I will instantly grab your rss feed to stay informed of any updates. Excellent work and much success in your business endeavors! Thank you very much.